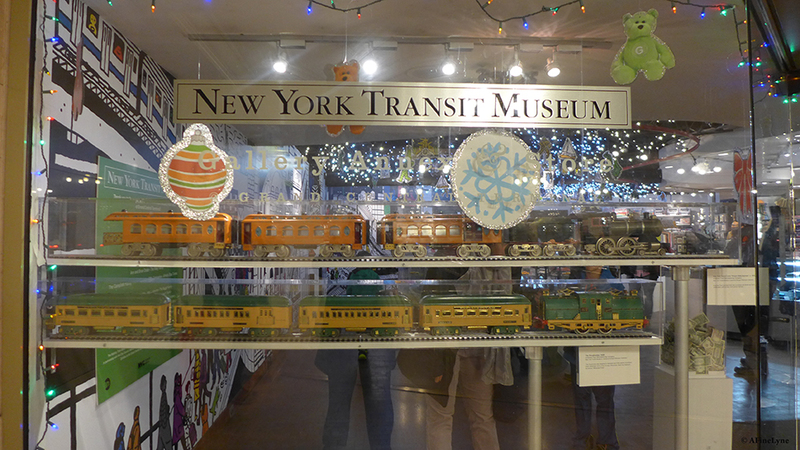 Holiday Season has arrived at the New York Transit Museum in Grand Central Station. 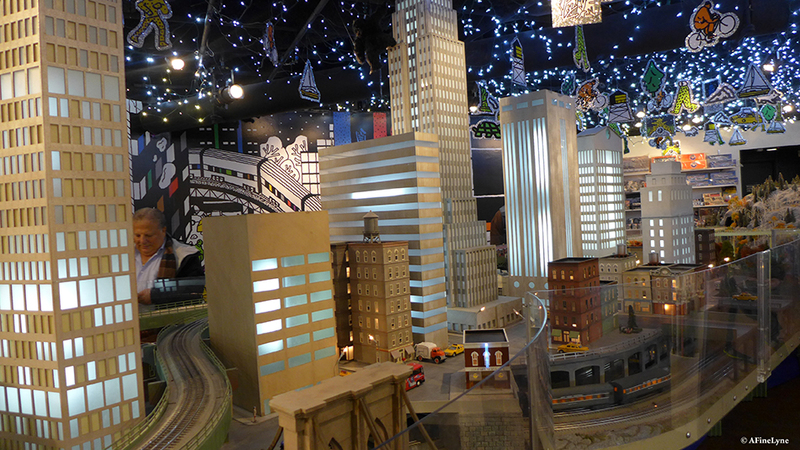 The 16th annual Holiday Train Show is now on display. 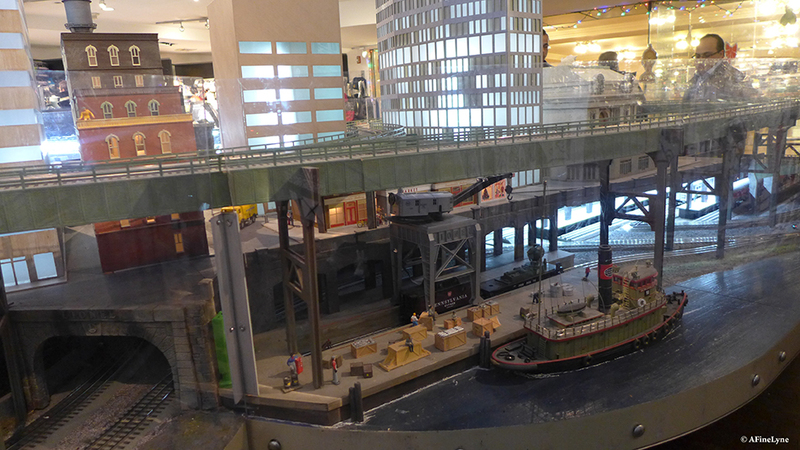 The exhibit features Lionel trains traveling along a 34-foot long, two level, “O” gauge model train layout. 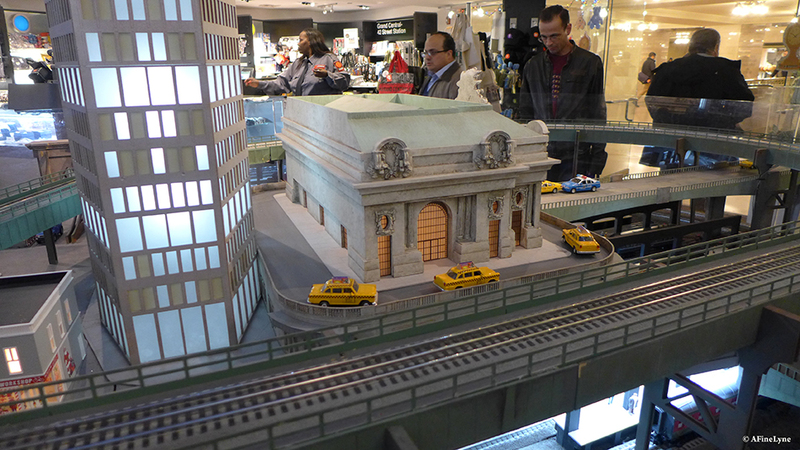 The trains depart from a miniature replica of Grand Central Terminal on their way to the North Pole. 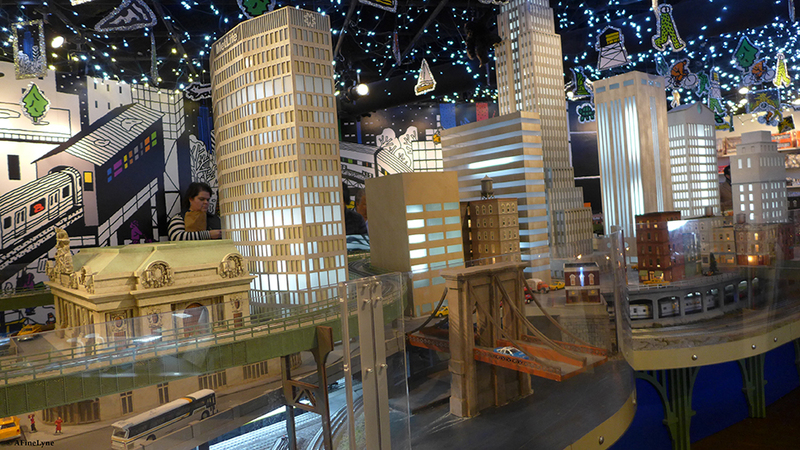 This year’s exhibition showcases the Lionel Metro-North, Polar Express, and vintage subway train sets against a cityscape backdrop designed by Brooklyn-based artist Josh Cochran, which can be seen in the image below. 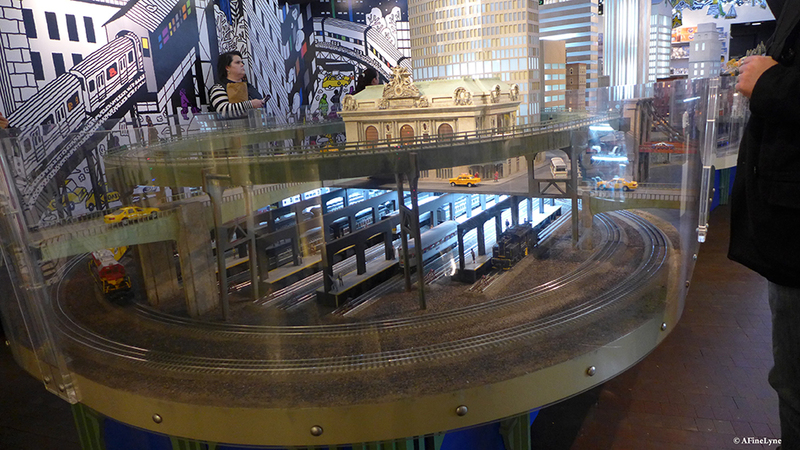 Artwork on the wall to the left of the train exhibit, by artist Josh Cochran, who recently did a similar mural for the new Shake Shack Penn Station. 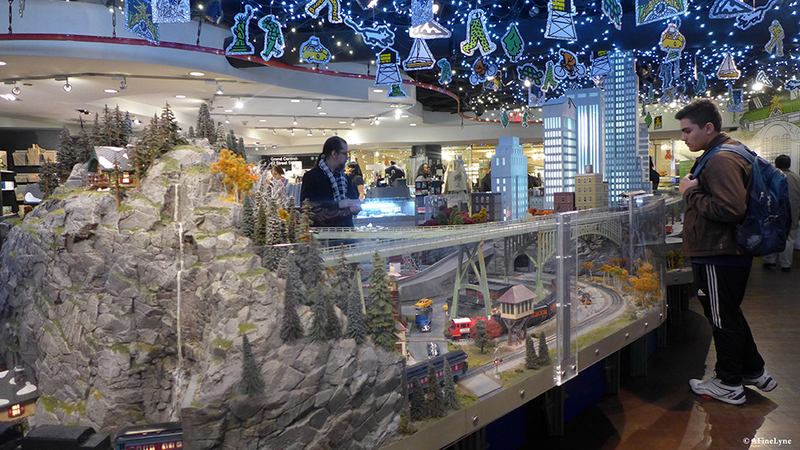 The New York Transit Museum’s Annual Holiday Train Show will be on view to February 4, 2018 at the Museum Annex, off the main concourse in the Shuttle Passage of Grand Central Terminal.